Sharpening the machete on sharpening machine in the smithy. Knife sharpener and hand with blade. Worker sharpening machete with grindstone abrasive disc cutter machine. 4K video. 4k00:10Sharpening the machete on sharpening machine in the smithy. Knife sharpener and hand with blade. 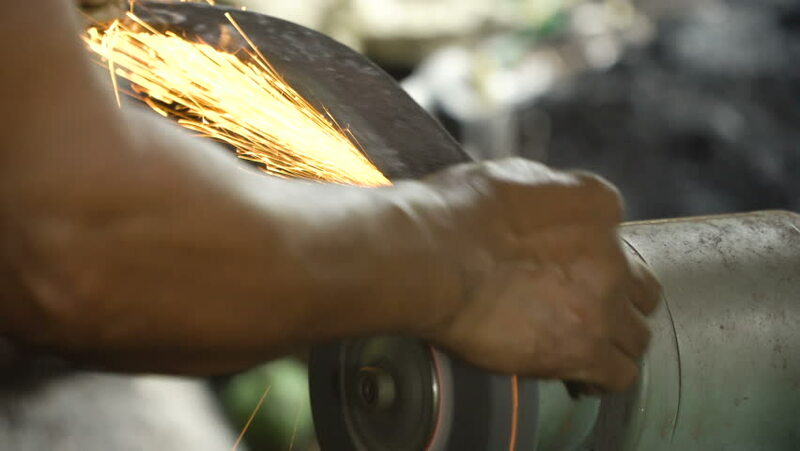 Worker sharpening machete with grindstone abrasive disc cutter machine. 4K video. 4k00:14Carpenter working in his rustic woodworking workshop. Senior craftsman cutting a wooden plank with a circular saw. hd00:27A lot of instruments on mechanic's toolbar in bicycle's workshop. Slider shoot.